Controversial photographer Jimmy Nelson’s work has been attacked by tribal and indigenous people around the world, Survival International and leading photographers. I saw the photos and I didn’t like them. This man only wants to force his own ideas on the photos, to publish them in books and to show them to everyone so that people will think he’s a great photographer. Just like Chagnon, he does whatever he wants with indigenous peoples. It is not true that indigenous peoples are about to die out. We will be around for a long time, fighting for our land, living in this world and continuing to create our children. 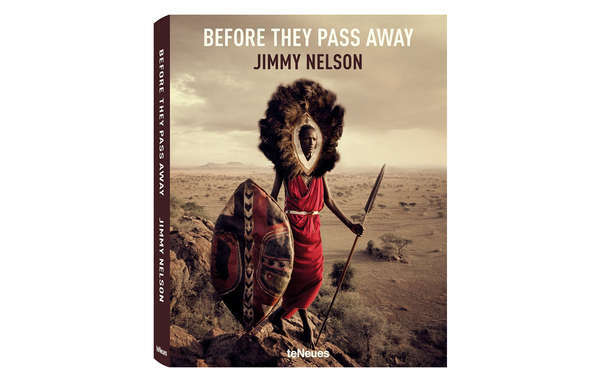 As a tribal person I feel offended by Jimmy Nelson’s work ’Before They Pass Away’. It’s outrageous! We are not passing away but struggling to survive. Industrialized society is trying to destroy us in the name of ‘progress’, but we will keep defending our lands and contributing to the protection of the planet. 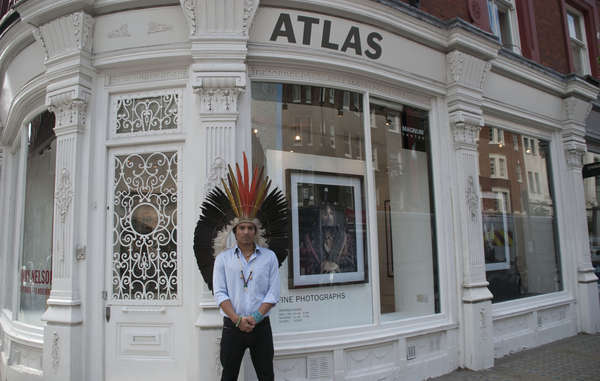 Nixiwaka Yawanawá protested against the "outrageous" exhibition of Jimmy Nelson&apos;s work at London&apos;s Atlas Gallery, wearing his ceremonial headdress. What Jimmy Nelson says about us is not true. My people, the Dani people, were never headhunters, it was never our tradition. The real headhunters are the Indonesian military who have been killing my people. My people are still strong and we fight for our freedom. We are not ‘passing away’, we are being killed by the brutal Indonesian soldiers. That is the truth. The patronizing and self-aggrandizing narrative behind ‘Before They’ is literally painful to watch. Fortunately, primitive attitudes like these have been on the endangered list for quite a few years now and it is fair to expect that they will pass away long before any of the cultures Nelson encountered in his project. [Jimmy Nelson’s] words of ‘authenticity, purity, beauty,’ are hollow adoration while his romanticized images are nothing but his own reflection. As for the Indigenous communities whom he has engaged, does he not recognize politeness laced with an ironic smile? “It’s the idea of the noble savage that goes back hundreds of years—that somewhere out there are people who are untainted by a corrupting technological civilization. And Nelson has gone out and found them, and he’s staged these elaborate production shots, which in their technical perfection are gorgeous. But what he’s giving people, viewers in an affluent Western audience, is a fantasy. It’s a fantasy that to me says more about the people who are consumers of these images than the people who are the ostensible subjects. I think we have to approach this serious issue from different angles. It is not fair to those 370 million people that they are just being exhibited like a tourist attraction and object for a photographer. The tribes in Nelson’s book face constant threats of displacement, murder, racism, or forced “development”, yet the average viewer would have no inkling of the suffering behind every dramatic print. Exposure to the western world is a rare chance for them to hold oppressive governments accountable. Instead, Nelson has selected picturesque elements from each place, added a pinch of untruths, removed political and social context and painted their deliberate and preventable destruction as effectively a fait accompli. There is a fashion for photographers to visit tribal peoples around the world and I do think it is important that they portray them accurately and highlight the problems they face and not ignore them. Coincidentally we have been asked whether we would consider hosting an exhibiton of Nelson’s pictures – which of course we will not. Jimmy Nelsons Before They Pass Away has been attacked by tribal people, photographers and Survival International. The criminal, often genocidal, treatment of many tribal peoples remains underpinned by a portrayal eliciting from us little more than wistful pangs of history lost. Nothing wrong with nostalgia of course, but there’s a lot wrong with presenting crimes against humanity as just another historical inevitability, as natural and unstoppable as Canute’s rising tide. Nelson’s mission is built on a horrifying assumption: that these indigenous peoples are on the brink of destruction. He couldn’t be more wrong. Your title for the body of work is misleading and the impression people will get is false…I’m simply saying that Maori people are not part of a dying breed and we don’t need to be portrayed as such, for a book… Jimmy Nelson… You take good photos, there’s no doubt about that, but I believe the premise for your book is just plain wrong. I’m telling you here and now, that we’re far from passing away. Jeremy Riley: As a Maori man, I can go ahead and say the lack of research on this photographers part is straight up offensive. Dwayne Martine: As an Apache, I’d like to correct, we’re not going anywhere. In fact we’re multiplying.